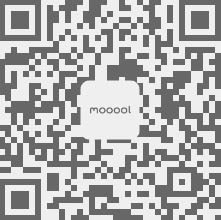 Thanks Studio Mapos for authorizing the publication of the project on mooool, Text description provided by Studio Mapos. 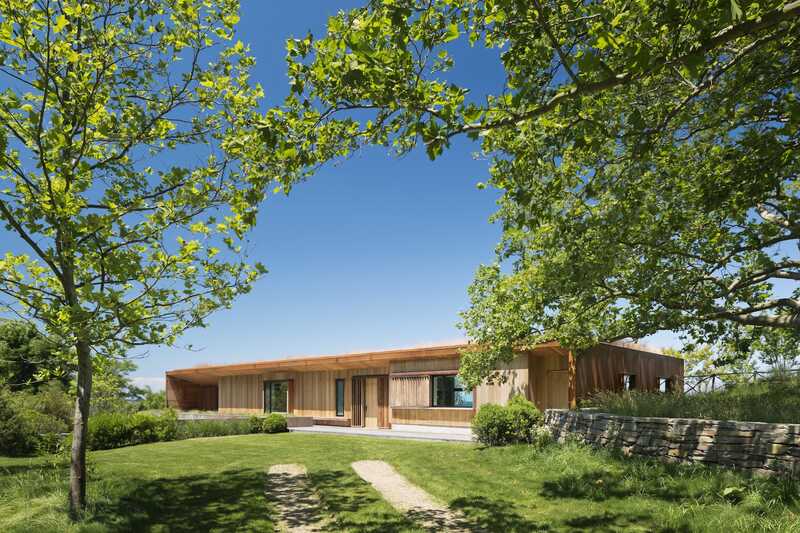 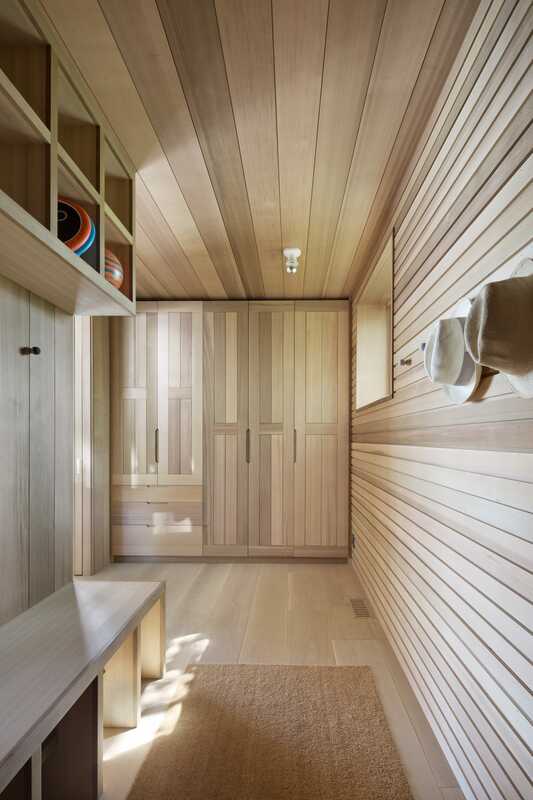 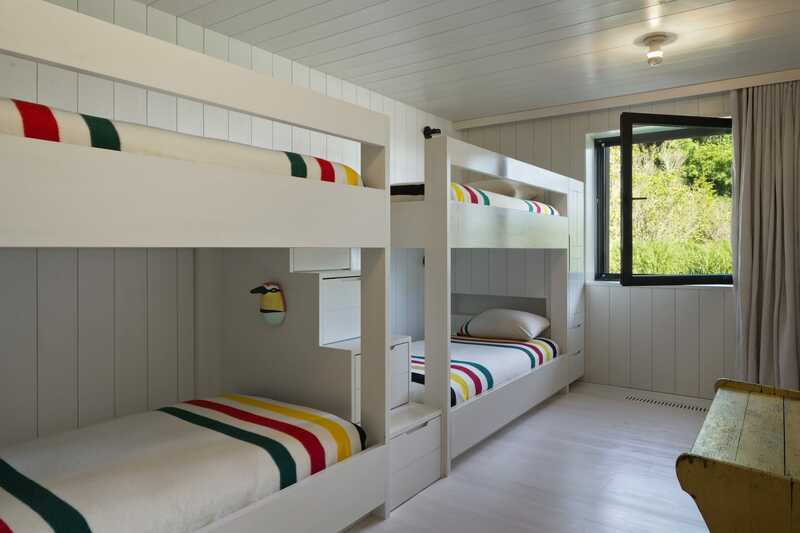 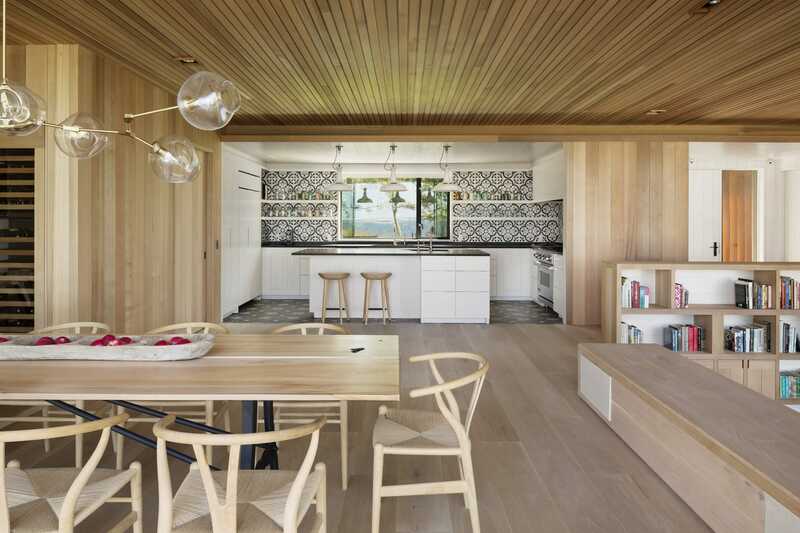 Studio Mapos：The Hamptons enjoys a storied past. 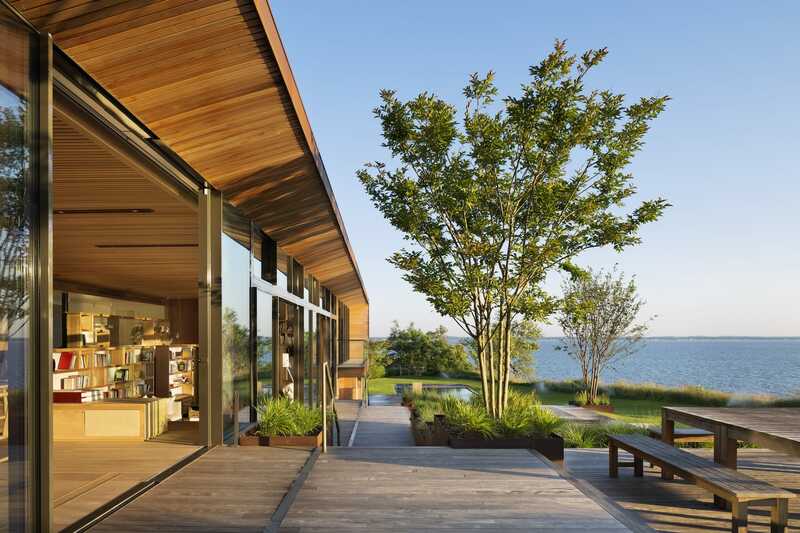 Unique daylight and compelling landscapes have drawn artists to this part of Long Island’s South Fork for the last century and a half, and their work here includes an important body of modernist fine art and architecture. 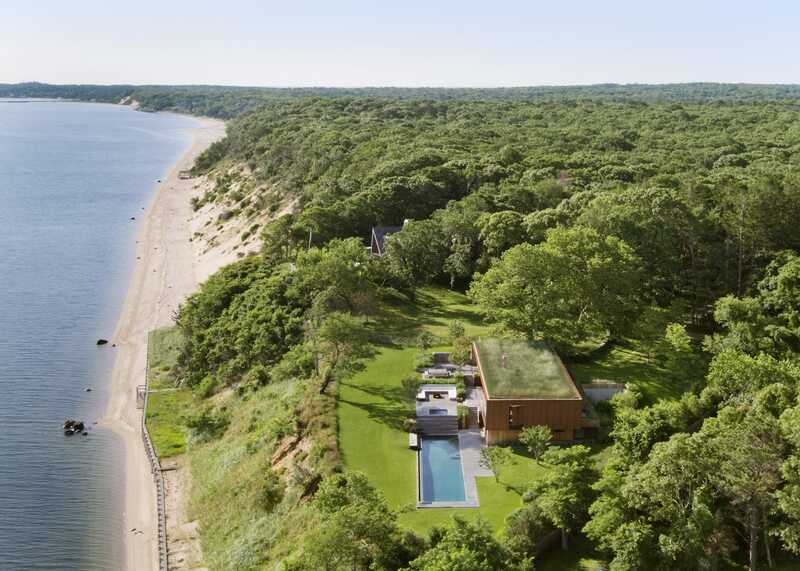 Yet more recently, the Hamptons’ allure has outsized its capacity—sprouting insensitive residential development, snarled traffic, and a national reputation for showing off. 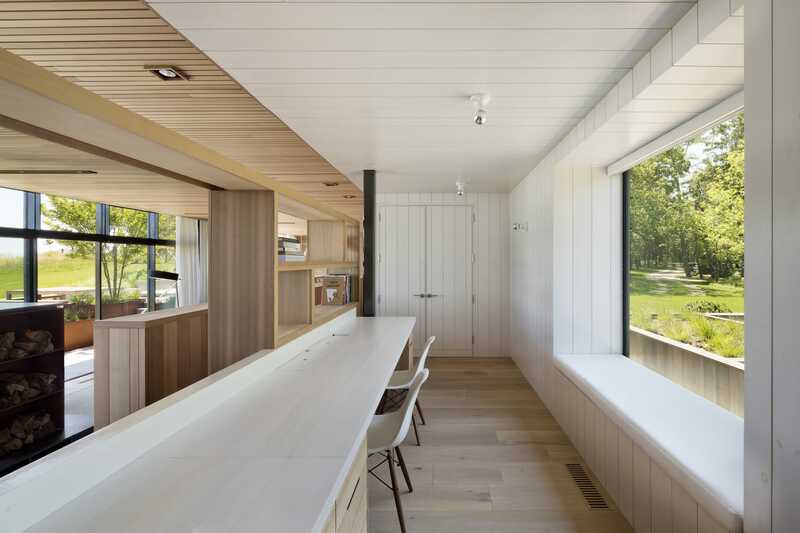 When a longtime Mapos client asked us to consider creating a multi-generational family retreat overlooking the Peconic Bay, we initiated dialogue about preserving the Hamptons’ historic character while accommodating the scale and refinement of 21st-century living. 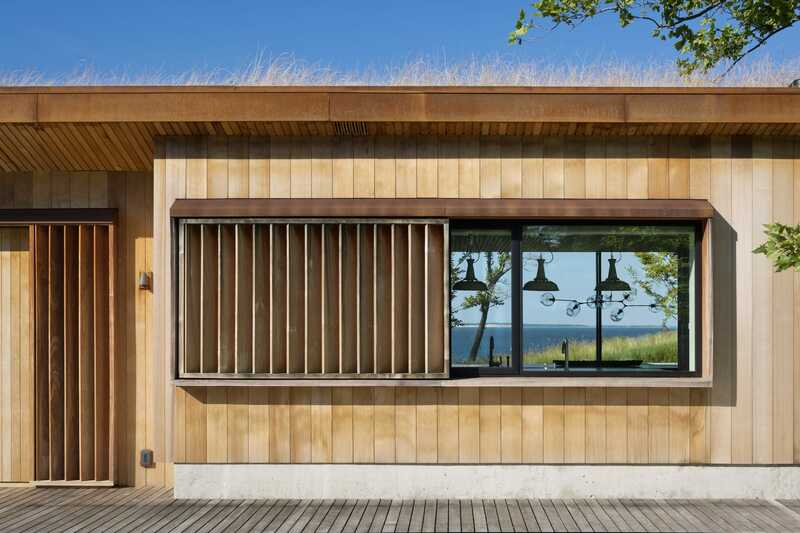 Prior to assigning this commission to Mapos, the husband and wife had purchased five acres of bluff top, in which the Peconic Bay and old-growth forest sandwich a sliver of meadow. 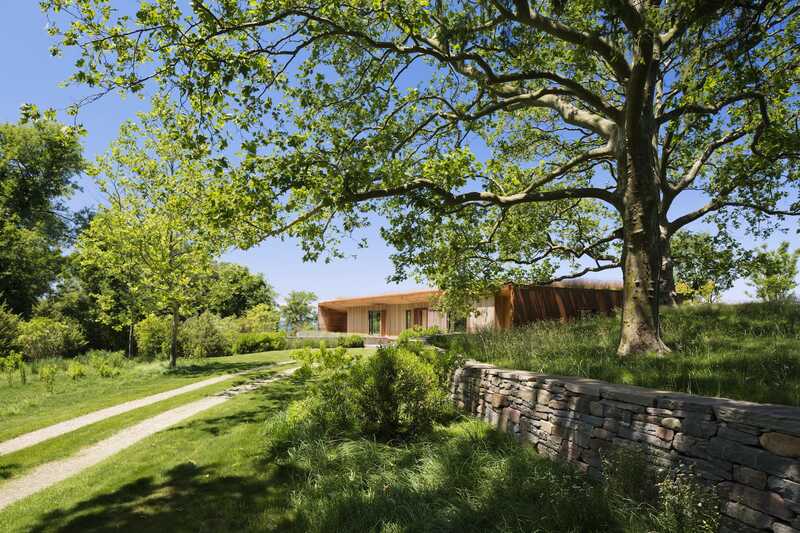 In that time, they had also become deeply enthralled by the property’s existing trees and fauna, particularly a 70 foot tall sycamore standing near the center of the meadow. 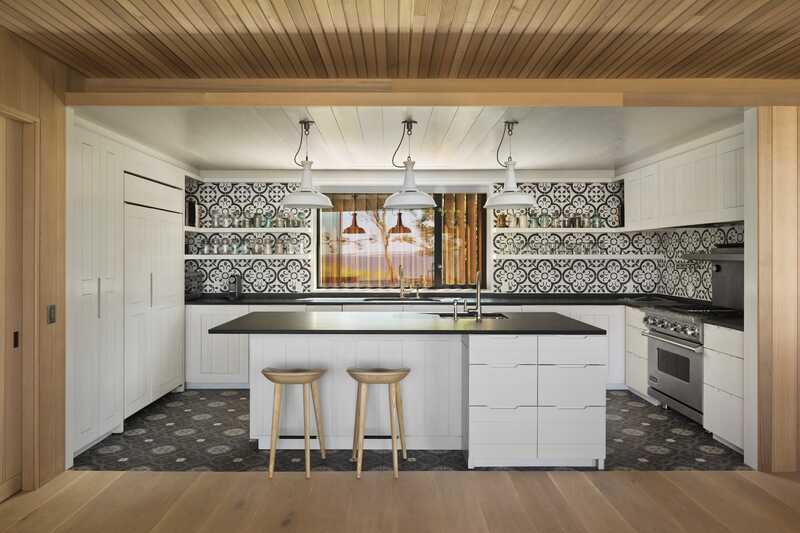 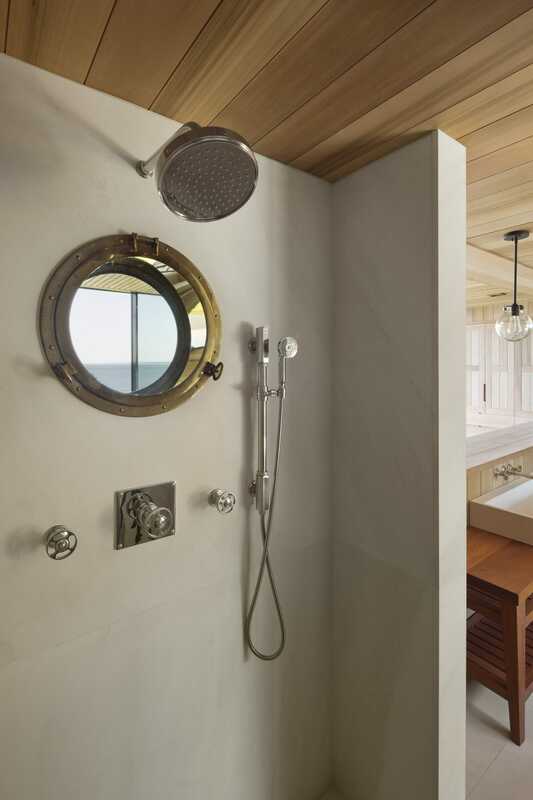 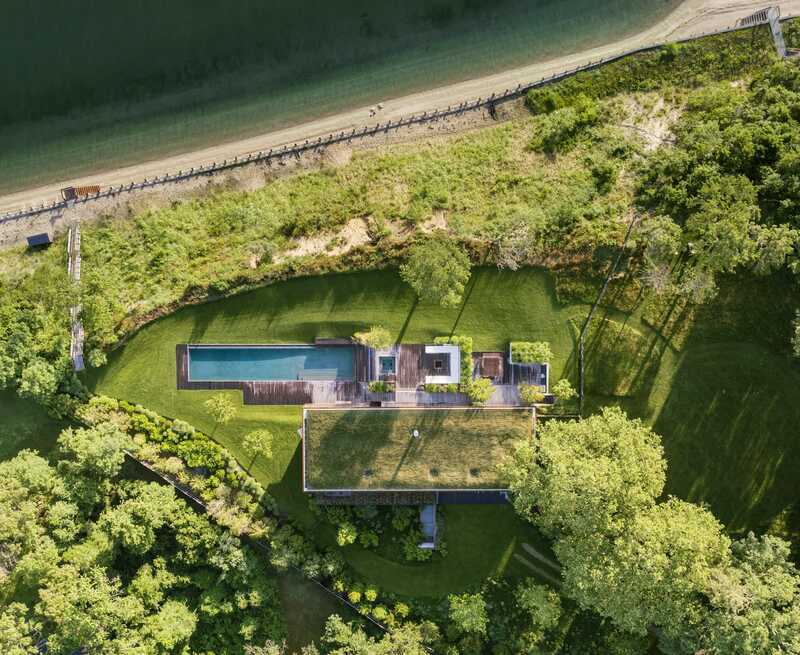 Emboldened by our vision of reasserting the Hamptons’ creative and environmental legacies, the couple requested a compound that leaves as little imprint on the site as possible. 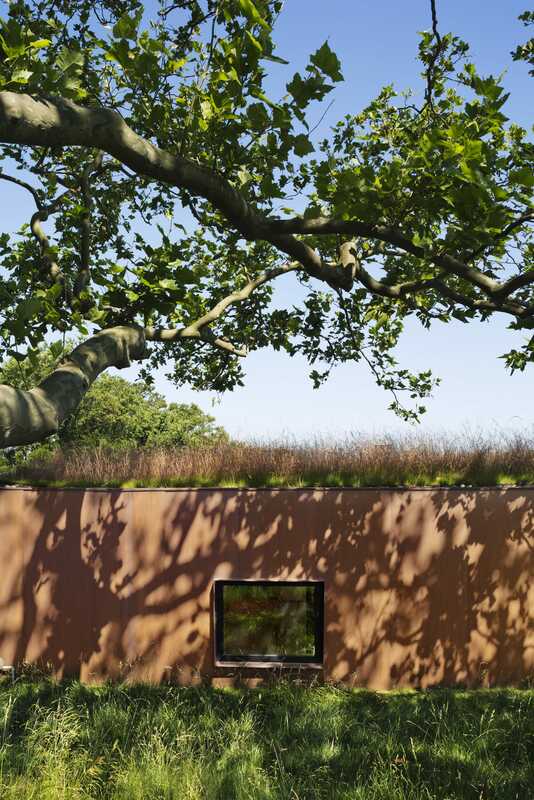 Because the clients expressed a lifelong interest in Richard Serra and Andy Goldsworthy, the unfolding sequence with which one encounters these modern artists’ installations inspired our strategy for approaching the residence. 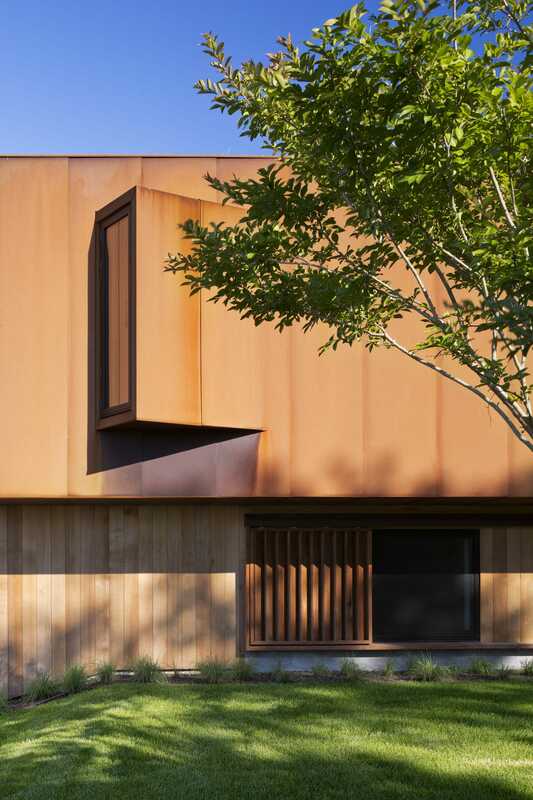 Approaching guests follow a meandering stone wall through the woods and meadow of the site, eventually leading to a crisp line of Corten steel piercing the meadow; moving toward that image ultimately reveals the main residence, and conveys the visitor to its threshold. 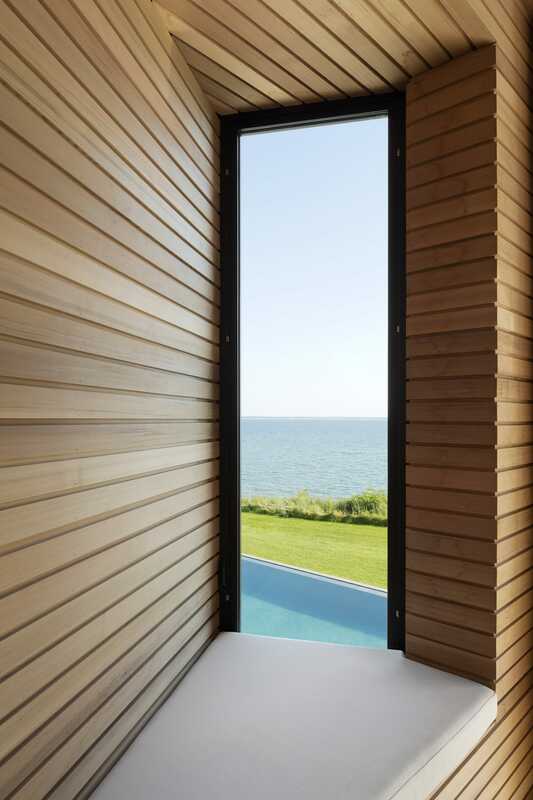 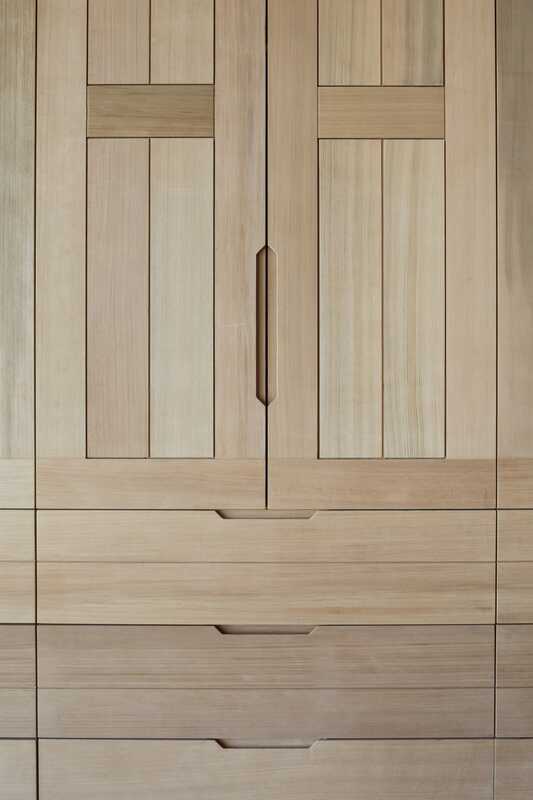 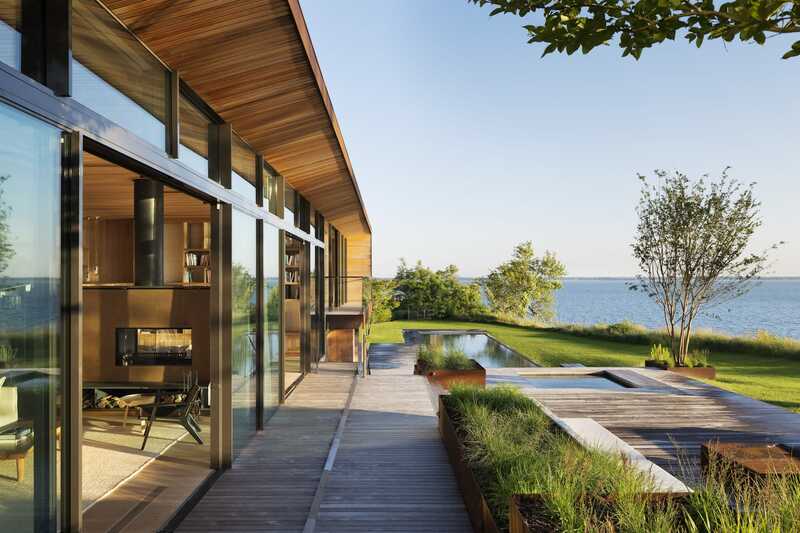 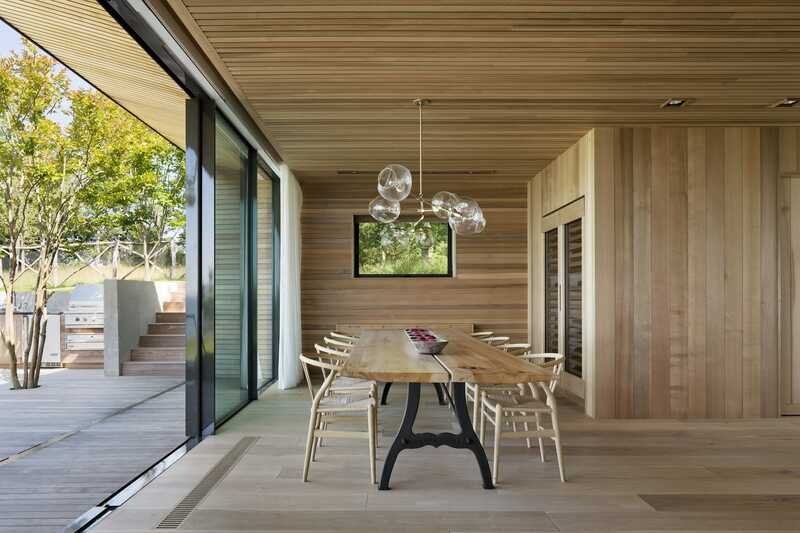 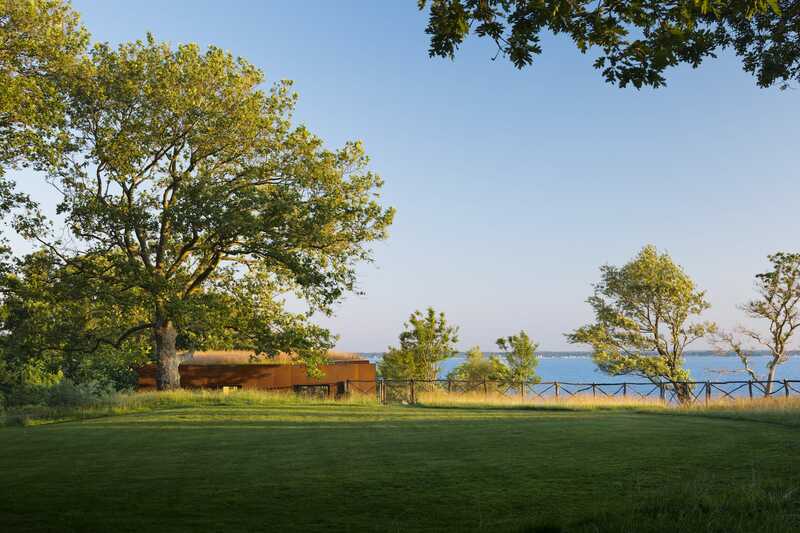 Opening to a stepped living room that frames an east–west panorama of the Peconic Bay, the residence’s entrance was conceived as a startling experience—as if one has emerged from the forest. 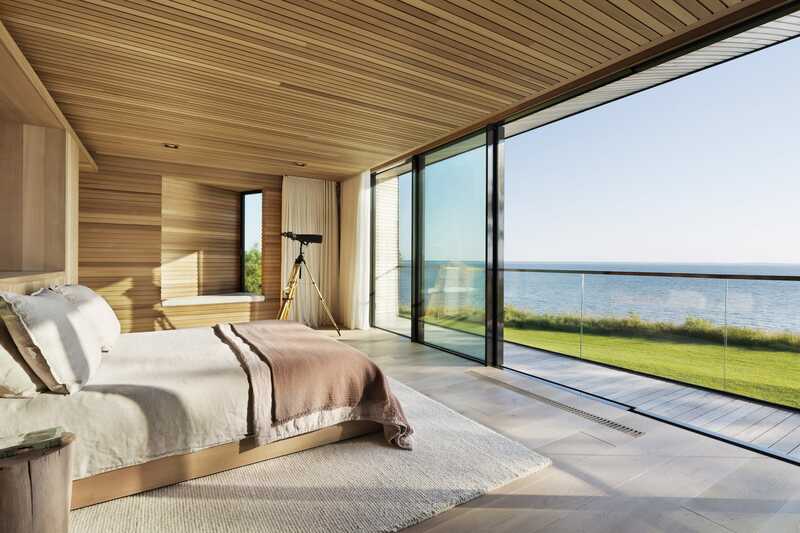 The interior further abstracts the bluff-top landscape, with unfinished cedar and reclaimed white oak following the site’s topography and crossing to the terrace via 100-foot-long glass wall. 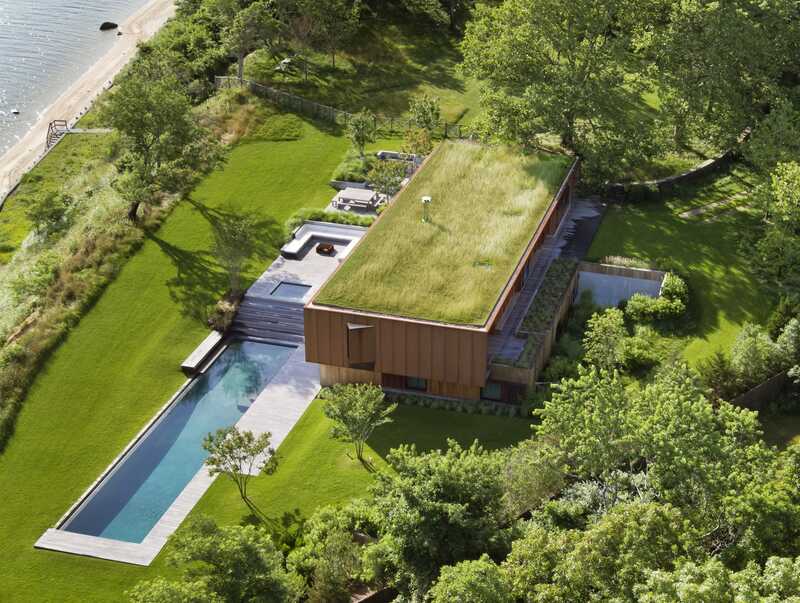 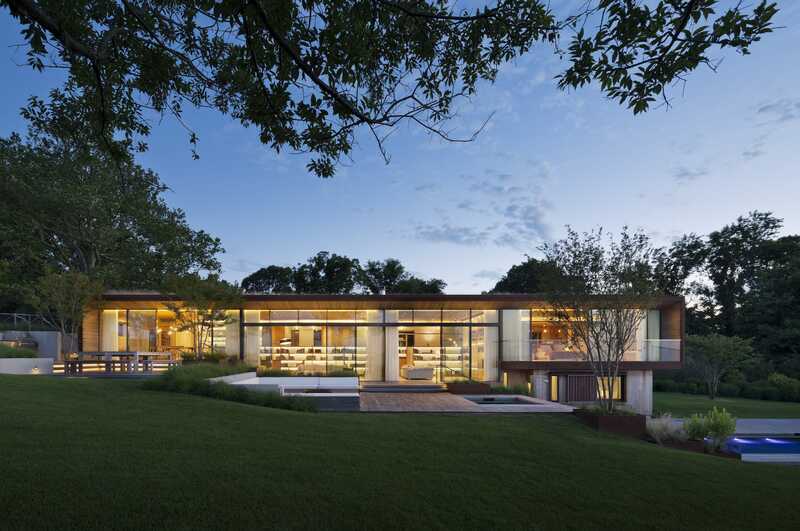 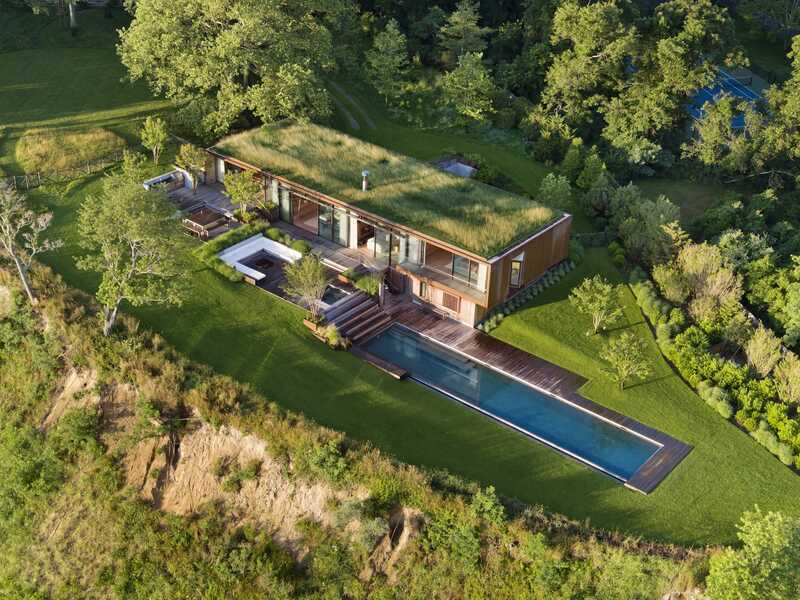 Every design decision supports this blurring of built environment and nature: the green roof promotes biodiversity while its cantilevers provide daylight harvesting in the morning and shade in the afternoon, and articulation of the east elevation creates a prow-like bay window for the master bedroom. 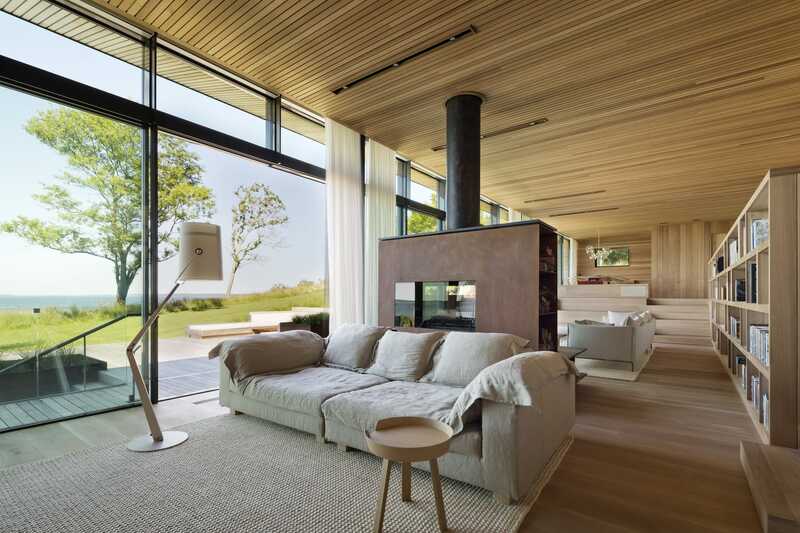 The interiors’ abstraction and literalness play off one another, and intimate an overall sustainability strategy that makes this project as sympathetic to the environment, performance-wise, as it is visually.